Cornerstone Marriage & Family Ministries is a non-denominational, national Christian marriage counseling and marriage intensive retreat ministry organization with locations in Houston, Texas, Indianapolis, Indiana, Dallas, Texas and Safe Harbor Florida. 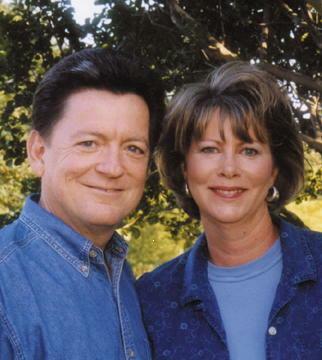 Cornerstone was founded by Roy & Sue Milam in 1992. The ministry is headquartered in Cypress, Texas (near Houston). Marriage intensive counseling retreats are held in major cities throughout the United States at hotel venues, retreat and resort venues. The ministry exists to save and strengthen marriages, equip couples in crisis to restore and rebuild their marriages and families on the timeless principles of Jesus Christ and His truth for healthy marriage & family relationships. Directed by an independent Board of Directors responsible for ministry oversight and accountability, Cornerstone Marriage & Family Ministries operates as an IRS approved, Tax-exempt, non-profit organization that provides affordable, marriage coaching, marriage counseling, and marriage intensives to the public in an ecumenical setting. The success of the ministry is entirely attributed to Christ's truth, power, and wisdom. Roy & Sue Milam... a husband-and-wife team, married for 25 years are co-founders of Cornerstone Marriage & Family Ministries. Serving together as co-directors of the ministry since 1992, Roy & Sue share a passion for restoring marriages and helping couples build strong marriages and family relationships. Roy Milam, MA, Marriage and Family Pastoral Care Counselor, Marriage Educator, Author, Speaker, Radio & Television Talk Show Guest, and President of Cornerstone, is an Ordained Minister with over 25 years of combined pastoral ministry, marriage counseling, coaching, and training experience. With a passion for helping couples overcome the challenges that adversely affect their marriages, whether it's infidelity issues, unresolved conflict, anger management or dealing with the stress and pressures of life, the Milams work with couples to help them remove barriers to freedom and experience joy in their marriage. A licensed and ordained minister, member of the Association of Marriage & Family Ministries and the American Association of Christian Counselors, and the Christian Counselors of Texas, Mr. Milam does not practice as a therapist and does not diagnose mental illnesses or disorders, nor provide treatment for the same. He holds his undergraduate degree in Psychology and Biblical Studies, is author of "The Truth About Divorce," "Ten Steps to Revitalize Your Marriage," and "Establishing A Vision for Your Marriage & Family," Roy & Sue have facilitated marriage intensive retreats, seminars and workshops throughout the U.S. and helped thousands of couples re-discover the love, friendship and marriage they've longed for. After we met and started dating, we soon discovered that we were just not happy when we weren’t spending time together. When we weren’t together we missed each other. We wanted to be together all the time. Although there were a lot of things about getting married that I was apprehensive about, I eventually came to the conclusion that I wouldn’t want to live the rest of my life without her. I realized that living life without her would be a terrible mistake, and so asked her to marry me. Twenty-eight years and three children later, we still cannot imagine what life would be like without each other. After all these years, through good times and also through some tough, hard times, in spite of all the challenges and difficulties we still find ourselves attracted to each other; in love with one another. We still enjoy each other's company immensely. There are still those days...and sometimes weeks when it seems neither of us likes each other very much, and we still have those times disappointment or disagreement when we have to buckle down and work to get through. Like most every other couple we know, we've had some serious blips in our relationship that, quite frankly, each of us wondered if we'd ever make it through. Yet still, after all these years, by the grace of God and His timeless truths for love and marriage, we are still in love, still drawn toward each other, enjoy being together, and spending time together. Certainly we have our differences. And there are times when we grate on each other’s nerves, when we let each other down, disappoint each other, and have serious conflicts. But in spite of the challenges we still truly enjoy one another. We still have a deep and growing sense of love, intimacy and enjoyment in being together. We still miss each other when we’re not together. But honestly, the reason that we’re still in love and have a growing marriage today, is not because we are two people who are so compatible, or easy to get along with. The reason we are still in love with each other today, and have a strong, growing marriage is because along the way, we have made some crucial discoveries about, discoveries God’s plan for marriage. We have also sought to discover and develop practical skills and tools that have helped us not only to grow in our understanding of each other, but also to resolve conflicts, meet each other's needs and solve problems in healthy ways. .
We have also made serious efforts to implement these gems and utilize these tools on a day-to-day basis. We’ve made some crucial discoveries about marriage- especially the vital connection between love and intimacy, and what it takes to stay in love and stay connected. We have deliberately done what it takes to stay in love, stay emotionally connected, and to deal with difficult issues as they occur so that our intimacy and our relationship keeps on growing. That is what we seek to offer you.